Microsoft this week announced that there will be a successor to Office 2016, the non-subscription version of the application suite, and that the upgrade would ship in about a year. The bundle, named "Office 2019," will be geared to customers, primarily corporate customers, "who aren't yet ready for the cloud," according to Microsoft. But other than that description, Microsoft was vague about Office 2019 as a "perpetual" license, one that lets the customer run the suite as long as desired without further payments. So, we collected some of the pressing questions business may have about the suite. What is a "perpetual" Office? Microsoft categorizes software by how it is paid for, discriminating between a license that was bought outright from one that is essentially "rented" because it's paid for over time, like a subscription. Most of the time Microsoft uses the term "one-time purchase" to label a software license that is paid for with a "single, up-front cost to get Office applications for one computer." The purchase gives the buyer the right to use Office in perpetuity. In other words, the license has no expiration date, and users may run the suite as long as they want. When will Microsoft release Office 2019? The company pegged the launch of the suite during the second half of next year. "This release, scheduled for the second half of 2018, will include perpetual versions of the Office apps ... and servers," wrote Jared Spataro, general manager for Office, in a Tuesday post to a company blog. Spataro called out "Office 2019" as the nameplate for the application collection. Any clues about when in the second half of 2018 Microsoft will release Office 2019? None in Microsoft's announcement. But there are hints enough to take a guess. Because the perpetual licensed version of Office 2019 will be built from code already released as Office 365 ProPlus — and because a beta of Office 2019 will debut in mid-2018 — it's more likely that Microsoft will use the March feature upgrade for Office 365 ProPlus subscribers than the September 2018 feature upgrade as the basis for Office 2019. The three months between the March 2018 appearance of the ProPlus feature upgrade and the July 2018 launch of the Office 2019 preview will give Microsoft time to digest feedback from customers and fix any bugs that surface. The change from Office 2016's beta release date (May 2015) to Office 2019's (mid-summer 2018) was probably necessary to accommodate the March feature upgrade timetable; Microsoft didn't adopt the Windows 10-esque feature release schedule for Office 365 until after the launch of Office 2016 in September 2015. All Microsoft has to do to declare the applications delivered to ProPlus subscribers — Word, Outlook, and so on — as officially "Office 2019" versions is to rename them. It could do that on Sept. 11, 2018, the likely date it will release that year's second ProPlus feature upgrade. What will be in Office 2019? Microsoft's not saying. The feature set may not be revealed until mid-2018, when Microsoft releases a preview of the suite. For his part, Spataro hinted at some of what will make it into Office 2019, calling out such features as Ink replay in Word and Morph in PowerPoint, which have been available to Office 365 subscribers for one and two years, respectively. And that's important to remember. There's little to no chance that Office 2019 will include any groundbreaking new features. Why? Because the perpetually-licensed version of the suite is built by taking the accumulated changes since the predecessor appeared — the changes issued to Office 365 subscribers over the past several years. In which forms and formats will Microsoft sell Office 2019? Microsoft's not saying. One-time purchases of the current office range from Office Professional Plus 2016 (Windows) and Office Standard 2016 for Mac (macOS), the enterprise-grade SKUs available only via volume licensing, to retail packages such as Office Professional 2016 (Windows) and Office Home and Business 2016 for Mac (macOS). It's certain that Microsoft will offer Office 2019 to commercial customers via volume licensing, but it may be questionable to assume that it will sell single-copy versions at retail. Microsoft will, at some point, discontinue sales of Office perpetual licenses, analysts have agreed. (Microsoft has made no secret that it prefers subscriptions -- Office 365 in this case -- for the recurring revenue they generate.) Dumping single-copy one-time purchases would be the logical place to start reducing the perpetual option. Spataro did not say so, but Office 2019 will come in versions for both Windows and macOS. There would be little reason to cull the latter, for instance, since Microsoft dominates that OS's productivity space, too. Why is it important that Microsoft ship Office 2019 next year? Another great question. 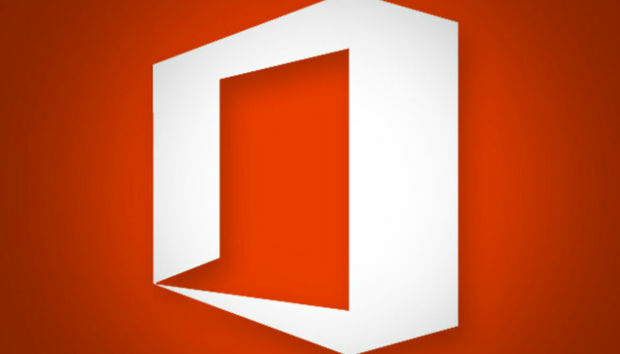 Earlier this year, Microsoft slashed the rights of users running non-subscription Office when it announced that perpetual-licensed versions of Office 2016 will be barred from connecting to Microsoft's cloud-based services, including hosted email (Exchange) and online storage (OneDrive for Business) after Oct. 13, 2020. Under the new rules, owners of a perpetual license for Office 2016 can use those services only during the first half of their 10-year support lifecycle, the portion Microsoft dubs "mainstream." Office 2016's mainstream support ends Oct. 13, 2020. By releasing Office 2019 next year, Microsoft will give enterprises a year or so to migrate from Office 2016 (or an earlier edition) before the cloud service cutoff. Will Microsoft sell a one-time purchase version of Office after Office 2019? Good question. Microsoft isn't saying. When asked if the company would commit to a follow-up perpetually-licensed edition, a spokeswoman effectively declined to comment.